With entering postmodern techne time since 1960s, society has experienced technical turn in 1985. After the emergence in 1877, philosophy of technology has undergone engineering ethics turn in 1970s and empirical turn in 1980s. 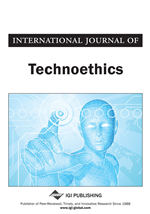 A paradox (technoethics)(TE) highlights between technological autonomy (TA) and ethics heteronomy (EH) from philosophy of technology. Traced with the underlined reasons and responsibility party, social control system for TE need set up a set of social control principles (respect TA, enhance EH, minimize risk and maximize perfection via responsibility, imagine diversification via uplifting) and social control strategies (technical control mechanism, technical ethical education, technical law mechanism) among technicians, engineers, philosophers of technology, and technical users etc. Then, techne can develop towards rational perfection, under the reflection and supervising from ethics of philosophy of technology and law. Techne has evolved from traditional constructive techne to modern deconstructive technique, up to postmodern reconstructive technology since 1960s (Carl Mitcham, 1999). Technological autonomy(TA) has been notable increasingly with its positive and negative impacts, and society has experienced technical turn in 1985. After the origin in 1877 dedicating to study techne nature and its social effects, philosophy of technology, has undergone engineering ethics turn in 1970s, with the emergence of applied technology ethics and the rising of applied ethical research into social-ethical problems surrounding technology between 1970 and 1990s. Then, philosophy of technology shifted to empirical turn in 1980s. A paradox, hence, outstands between technological autonomy (TA) and ethics heteronomy(EH) from philosophy of technology since 1970s, although techne has been born with the questions of ethics. The paradox between technology and ethics can be named as technoethics(TE), coined in 1977 by philosopher Mario Bunge to describe the responsibilities of technologists and scientists to develop ethics as a branch of technology. In light of Bunge, “the technologist must be held not only technically but also morally responsible for whatever he designs or executes: not only should his artifacts be optimally efficient but, far from being harmful, they should be beneficial, and not only in the short run but also in the long term.” He recognized a pressing need in society to create a new field called ‘Technoethics’ to discover rationally grounded rules for guiding science and technological progress. (Bunge & Mario,1977). According to TE, technology and ethics are embedded in life and society (Luppicini, 2010), as being and consciousness. Viewed the various perspectives from ideas, behavioral science, sociology, functionalism, achievements contributes to the definitions of TA, enriching its connotation and denotation. For instance, “sum total of ideas that bring into evidence a system of ethical reference that justifies that profound dimension of technology as a central element in the attainment of a ‘finalized’ perfection of man.” (Galván, 2003); “the behavioral norm and ethical basis for the global community.”(Bao & Xiang, 2006); “an interdisciplinary field concerned with all ethical aspects of technology within a society shaped by technology. It deals with human processes and practices connected to technology which are embedded within social, political, and moral spheres of life,” (Luppicini & Adell, 2008), “...it attempts to provide conceptual grounding to clarify the role of technology to those affected by it and to help guide ethical problem solving and decision making in areas of activity that rely on technology.” (Luppicini, 2010). Redefined in the paper and regressed in the perspective of the vertex of philosophy, TA is a philosophy of technology devoted to exploring the relation between technology and ethics, focusing on both techno-oriented and bio-oriented applied ethics, devising principles and strategies to lead and monitor technical practice progress for reforming world and benefiting human, preventing technical dissimilation via ethics code in rationality towards perfection. Advancing with modern time comprehensively, it endows TA with a specific domain, connotation, characteristic, methodology, function and goal.